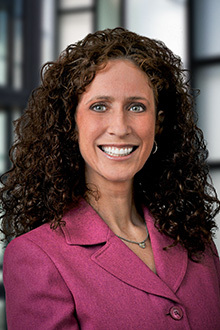 Joelle Sharman is a partner at the Atlanta office of Lewis Brisbois and a member of the Life Health Disability & ERISA, Insurance Coverage, and Labor & Employment Practices. She is a civil and appellate litigator with a diverse practice spanning almost twenty years. Ms. Sharman has been lead counsel on a variety of appeals and cases involving complex insurance coverage issues; ERISA; employee benefits; individual life, health, disability, and accidental death benefits; and traditional employment issues. Ms. Sharman is active in the Life, Health, and Disability Committee of the Defense Research Institute; a member of the Life Insurance Committee of the Tort and Insurance Practice Section of the American Bar Association; and co-chair of an Employee Benefits Subcommittee of the Labor & Employment Section of the American Bar Association. Ms. Sharman has published on insurance, employee benefits, and ERISA matters, and has been a frequent speaker on those topics at seminars, such as the ACI ERISA Litigation, Employment Discrimination, and Life Insurance Litigation Conferences; the Eastern Claims Conference, the Annual Meeting of the Defense Research Institute; and the Life, Health and Disability Seminar of the Defense Research Institute.